Answer: These are two completely separate concepts. They can be combined, but need not be. A medical malpractice claim involves a failure of proper medical care by a trusted medical provider, which results in injuries or physical damages. The injuries may be minor or they may be fatal. 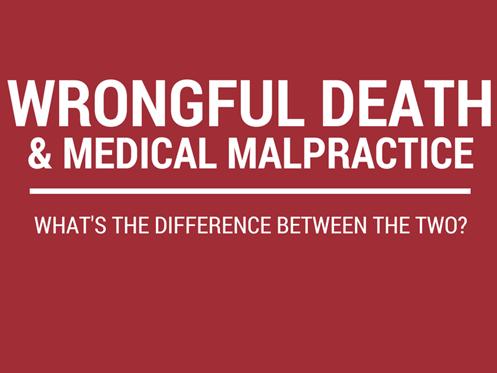 If fatal, you would have a right to bring a claim for “medical malpractice wrongful death”. A wrongful death claim is when a person’s negligence results in the death of another. Negligence can be action or inaction. It can be doing something you shouldn't (text and driving) or failing to do something you should (stop for a stop sign). If the negligence causes the death of someone else, then a claim may exist for the “wrongful death” of your loved one.